A bridge is fabricated by reducing the teeth on either side of the missing tooth or teeth by a preparation pattern determined by the location of the teeth and by the material from which the bridge is fabricated. 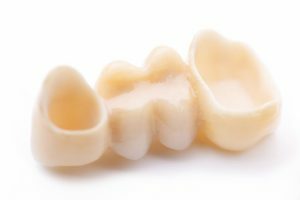 In other words, the abutment teeth are reduced in size to accommodate the material to be used to restore the size and shape of the original teeth in a correct alignment and contact with the opposing teeth. What are the benefits of having Dental Bridges? I consent to Exper Dental collecting my details through this form.